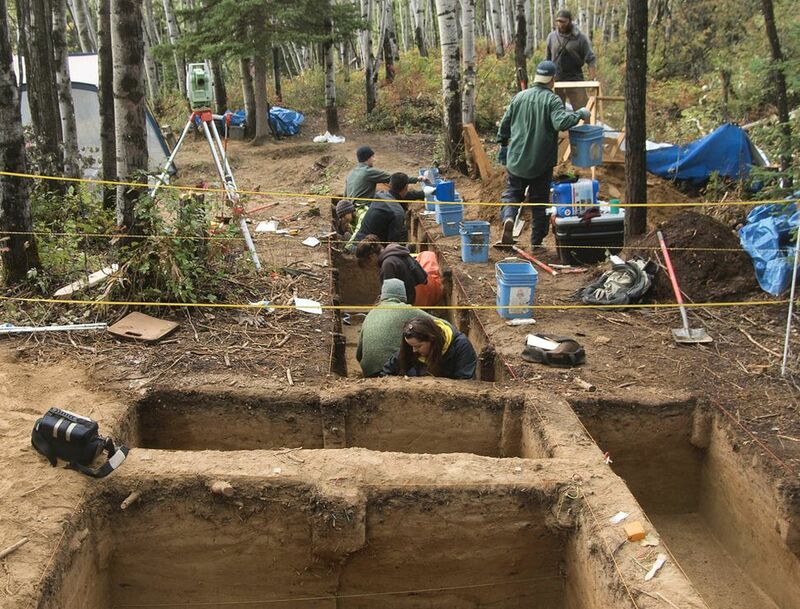 Researchers in Alaska have found remains of two infants of the Ice Age. They had died around 11,000 years ago, and around weapons, which could probably be traced to as grave offering traditions in those times. These remains are the youngest human remains ever discovered in any part of North America. Two babies of such kind are found, and as per the researchers of University of Fairbanks in Alaska, one is just a few weeks older than the other. The study was published in the Proceedings of the National Academy of Sciences. The infants were found in a pit, which was 15 inches below the ground level. The lead author of the research, Ben Potter said, “Taken collectively, these burials and cremation reflect complex behaviors related to death among the early inhabitants of North America. The deaths occurred during the summer, a time period when regional resource abundance and diversity was high and nutritional stress should be low, suggesting higher levels of mortality than may be expected give our current understanding.” Potter was also a part of the team which had in 2013 found the cremated remains of a three-year-old child. Along with the infants, the weapons found included shaped stones and antler foreshafts, which are decorated with incised lines. The researchers said that was unprecedented, but could be very useful in further study. It also depicts as to how important hunting was in those times, even for burial in the populous of those times. The researchers also state that the two infants were presumably girls. They were found with their legs bent toward their chest, and an analysis of their bones suggests that one was a late-term fetus and the other was five weeks old. They also presume that the deaths occurred in summer, as the mortality rate was higher, they must have died when food was available in abundance.